Okay. I’ve found a clue. 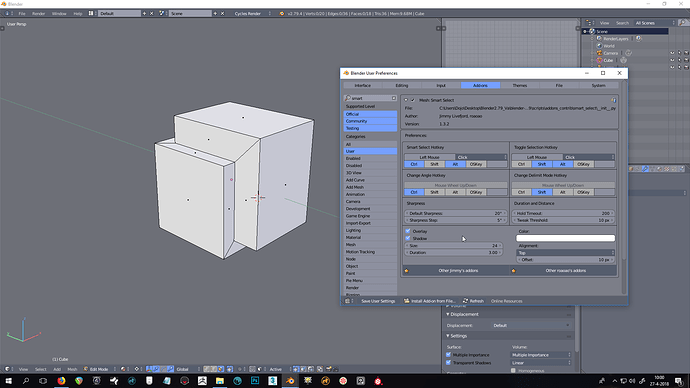 I’m using version from builder.blender.org, on regular 2.79 new version (1.3.2) works for me. Could you check what’s going on on those build from buildbot? No i will not, It’s not a stable release so that seems a bit backwards. Try to stick with the official ready releases and it will work fine. Also don’t forget to post what version of Blender you are using in the future in the same post as your question. I am looking for a programmer that has the time to commit to a long term deal since addons will require a lot of updates, but mostly more features, and there is a ton of stuff left to be added. If you feel you are game, contact me and we can talk more. To all of you out there who have bought my addons,really sorry for letting you down again. I will do what is within my power to solve this. PS. I will post a copy of this text on all my treads to let everyone know, please do not remove this. hi there! I was wondering if you could help me install the add-on. So far I have not been able to get it working. I dropped both scripts/files into the addons and/or addons_contribute folder . What version of Blender are you using? As you probably saw in the post over yours this addon is not beeing updated anymore because i am looking for a programmer. And where are you looking for a developer? Got any links for the job to send forward? Well i started a tread here in the job forums, that’s pretty much it. Not sure what you mean, but i can add a notice there that theese addonas are not beeing updated at the moment and explain what the latest stable version is, is that what you mean? I’m not PolyGreen, but the version is listed right in the screenshot, Blender 2.79 72e5082 Windows 64. That hash (72e5082) doesn’t match any of the official Windows x64 Blender releases, so I’m guessing it’s one of the daily / experimental builds. As you probably saw in the post over yours this addon is not being updated anymore because i am looking for a programmer. Does this still work with 2.79/a/b? If not, I agree with burnin here, you don’t want to leave the add-on on GumRoad as it is if it is not being actively developed anymore. I would strongly recommend putting the most recent Blender version your add-on was verified to work with at the very top of your product page in big bold letters at the very least. That will help you avoid frustrated buyers. If you don’t have a programmer lined up yet I might be able to help. I’m currently busy with another project right now though and I fear my laptop’s hard drive may be failing. Sorry missed it. Yes, I was thinking as nBurn explained. well I tried it with the official builds as well and it did not work correctly. I would just find out what the latest working version is and then post that on your Gumroad to inform potential buyers. If it works the tool is great though ! I got some good news! Nburn has started to work with me and will try to fix the bugs for smartselect to start with. It appears that it’s the smartfill addon that causes issues for this addon, can you try to deactivate it? Also can you make a list what bugs you find at the moment? Pretty nice addon! I hope the preselection comes soon and i hope you will port it to 2.8 as well! good to hear this is still alive! looking forward to any updates. The code needs some cleaning up and there’s a few issues left to fix, but hopefully there can be an experimental / pre-release version made available in the coming days. 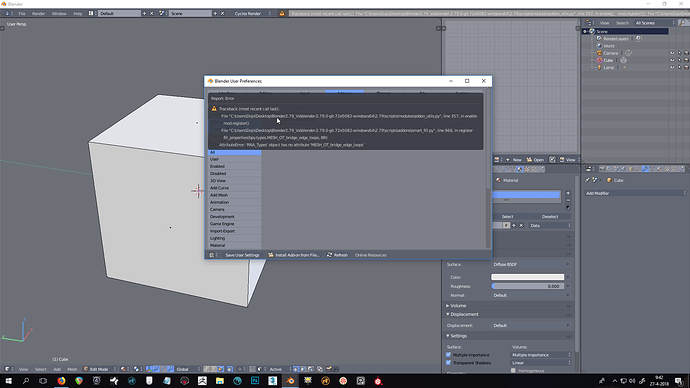 Biggest issue for me with smart addons is that they randomly crashes blender, I love the concept of them, its brilliant but please make it stable so I can use these at work. We will try our best. Again, all clues what’s causing this and in what situations would be great. Okay Everyone! Thanks to NBURN a early beta version for 2.80 is out please try it out and post all of the bugs here! Is there a download link for this? Gumroad link is for 2.79.